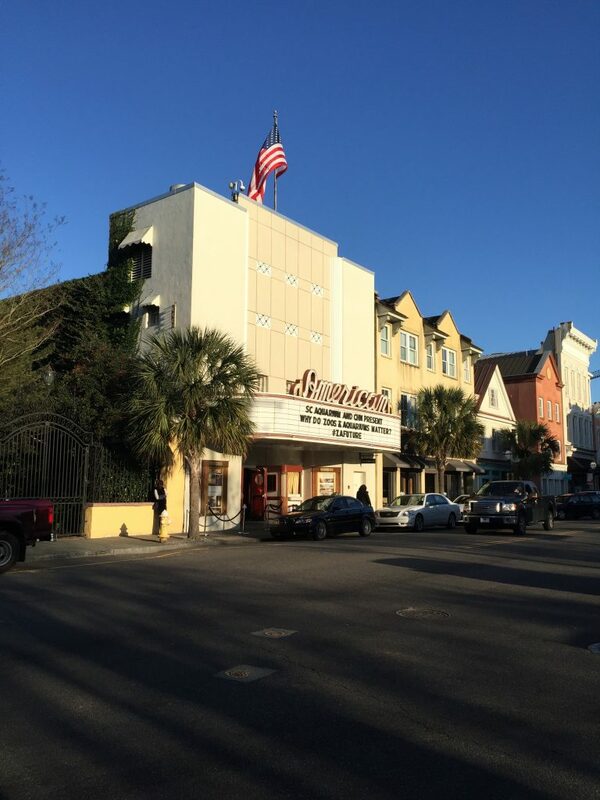 Back in February, the South Carolina Aquarium and The Center for Humans and Nature hosted the finale in the Holland Lifelong Learning series of “Why do zoos and aquariums matter?” in Charleston. 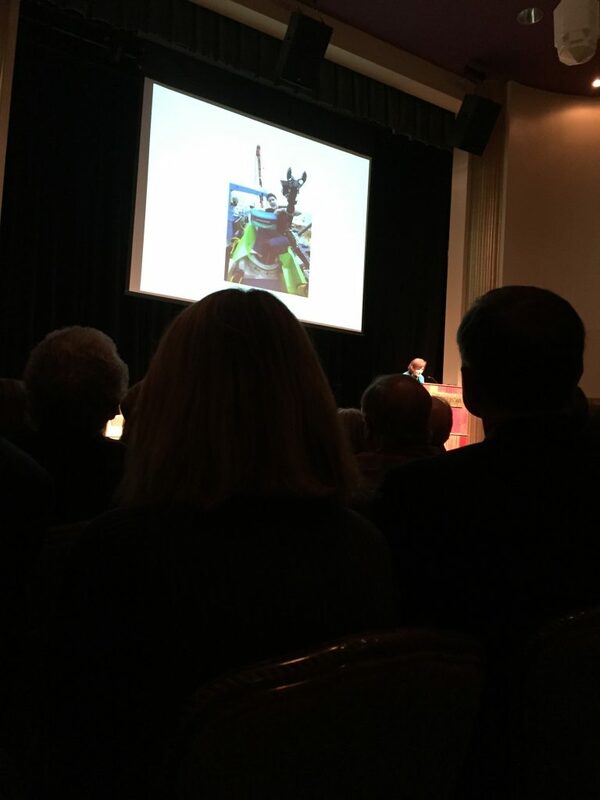 I’ll admit, at first, the main reason I wanted to attend was to see Dr. Sylvia Earle in person and hear her speak. That evening back, in February, provided me with an opportunity to reflect on how zoos and aquaria shaped me, personally. As high school was winding down and the prospects of university were beginning to materialize, I hadn’t really considered a career in academia. In large part, this was because I was unaware of an academic career as an option. Instead, I saw animal husbandry as the path I wanted to follow. Cue the inevitable dolphin jokes from my marine peers! I volunteered my senior year of high school as a Los Angeles Zoo intern. I even got my own engraved badge! I was, then, invited to take their keeper course while I was a freshman at university. After the course, though I didn’t get one of the keeper positions, I was able to stay on the aquatics string. 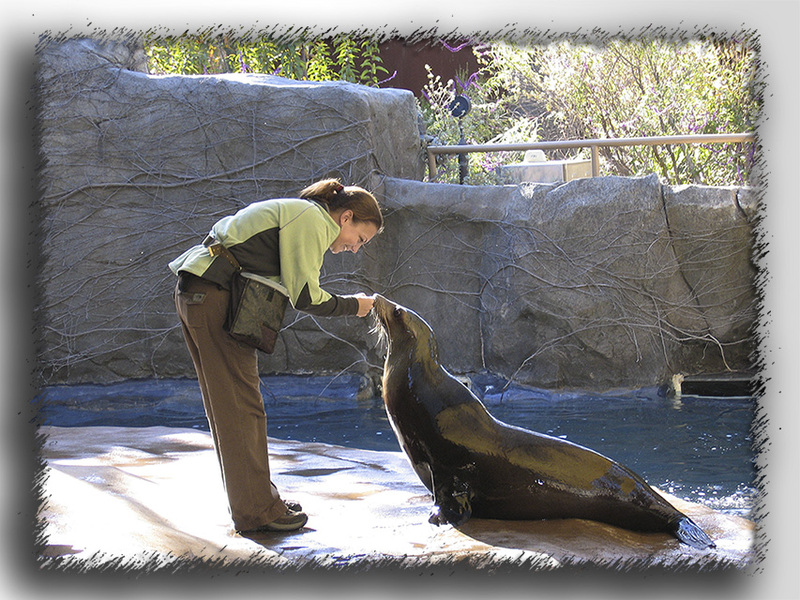 Operant conditioning with Minnie, a California sea lion, at the LA Zoo. © SA Krueger-Hadfield. I continued to head over to Griffith Park every weekend while balancing my academic and athletic commitments at university. But then a research lab came calling and life as I knew it was over. I well remember my first day and the brash statement that I’d end up working on seaweeds (Casey terHorst, that was you!). I scoffed … but look what happened!? A brave new world opened up before me. I began taking upper division marine and terrestrial ecology courses. I embarked on an independent project. Imperceptibly, I began to gravitate towards academia with all the bravado of being 20 and naivete of the rejection, uncertainty and insecurity. I certainly began to wonder whether a career in which I would spend a large part of the day hosing down waste and thawing mackerel would be fulfilling enough. Inevitably, this new academic world led me to wonder whether zoos and aquaria had roles that needed to be filled. If yes, were they fulfilling these roles or were they falling woefully short? I thought then and still do that some are certainly rising to the challenge, and others, well, not so much. Certainly, without the Monterey Bay Aquarium, I may never have become as interested in marine biology. 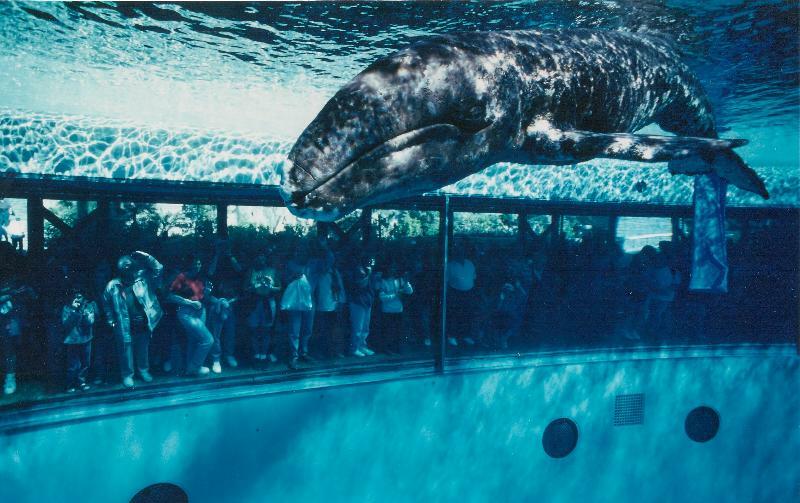 Likewise, despite what you may feel about SeaWorld and Shamu, I remember very clearly driving down to San Diego to see JJ, the gray whale, that was rescued when only a few days old after beaching herself in Marina Del Rey. These early experiences had a profound impact on my life and career. Nevertheless, in the intervening years, I’ve come to the opinion that some animals simply shouldn’t be confined to a tiny cage when in nature they roam huge swaths of savanna or open ocean. Like most things in life, though, when the veil of youth is lifted, it isn’t so black and white. How can we get someone to care about a lion if they will never have the opportunity to travel to a savanna or if there is no savanna left? What happens to the animals already in captivity? In light of recent events and the death of a captive gorilla, these questions seem even more critical. Some of the articles written in the last few days questions the captivity of sentient animals, while others shame the parents of the child who found himself in the enclosure with a male silverback gorilla. I certainly don’t have an answer, but I do think this raises the questions of what animals are kept in captive settings and the wisdom or folly of doing so. I stopped heading to the LA Zoo every weekend when I began working on my master’s degree. The next thing I knew, I was throwing myself headlong into two new countries and cultures while trying to complete my dissertation. Once seated in the American Theater, I realized there wasn’t an obvious link as to how a zoo or an aquarium aids in protecting the diversity of life on Earth for those who aren’t among the ecologically converted, or perhaps even among those who are. 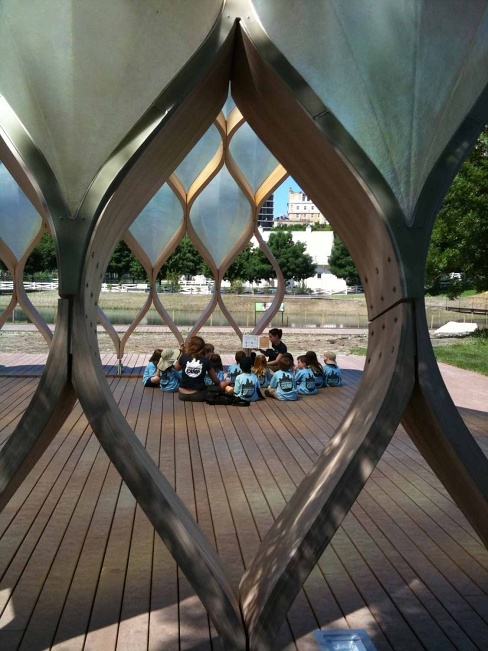 Certainly, zoos and aquaria had been very important for me, but not all visitors change their conservation behavior after visiting a zoo or an aquarium, as Jeanne Gang, the founder and principal of Studio Gang Architects, writes in her contributor response. We could get philosophical and ponder if this could be because people take the natural world for granted. But, a lack of behavioral change could also be due to the negativity associated with zoos and aquaria. Zoos, unfortunately, often conjure up negative images of a starved lion dejectedly pacing around its concrete cage surrounded by steel bars. This negativity is especially true in the last decade or so in which the press surrounding the captivity of large mammals has been especially negative. Scott Corwon, a consultant with IMPACTS Research and Development, presented the trends in the public’s attitude toward zoos and aquaria over the past decade in which the perception of the care of captive animals has been in a steep decline. This is in large part the result of the captivity of and entertainment shows with whales and porpoises. Once a major draw, they are no longer an efficient source of revenue as public opinion has swayed against capturing and keeping these marine mammals. How do zoos and aquaria re-engage with a indifferent, or even hostile, populous? More importantly, how do they shift their ethos to conservation and rehabilitation and away from entertainment? Unsurprisingly, entertainment conflicts with conservation. How do you mobilize the patrons when gift shops are filled with plastic and mass-produced gimmicks? When entertainment is the prerogative, it’s an arms race for the shiniest, the biggest and the best. Not unlike the origins of zoos in which the monarchs and nobles of Europe fought to be the first to possess such and such exotic species in an effort to outpace someone else and bring some shine to dreary northern climes. What does conservation look like in a building? At the Lincoln Park Zoo, Studio Gang constructed an education center that transformed an urban pond from the 19th century into an ecological habitat teeming with life. 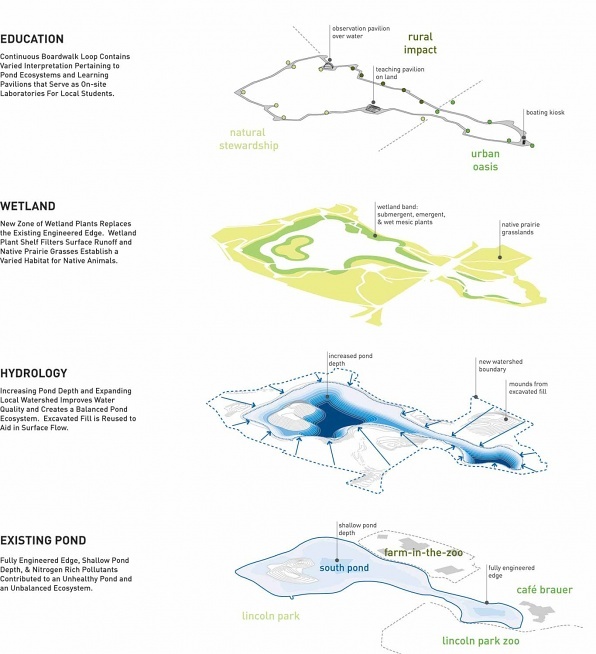 The design improved water quality, hydrology, landscape, accessibility and shelter. Dr. Earle, another innovator and advocate for nature, also painted a portrait of hope. Today, ten year old kids have so much more at their fingertips than when she was young, or dare I say even when I was a kid?! As molecular ecologists, just think what was amazing ten years ago, or even five? This is particularly true in the marine environment and for certain groups of organisms, such as seaweeds. What you can and are able to do, both technologically, but also financially, has grown heaps since the early 2000s. The next generation of kids, those playing in the schoolyard now, Earle believes, will be voices for nature. Yet, how to engage these young minds? As Gang pointed out, are we sure they will have the appropriate tools with which to engage with nature as they are removed more and more from it? It’s one thing to look at a picture of an octopus or a shark. It’s another thing entirely, though, to come face to face with one. Not everyone will be fortunate enough to see these animals or plants in the wild. Thus, zoos and aquaria are little slices of nature, accessible to even the most urban areas. The more you know about something, the more it matters. The question is how to engage the public so that they value the natural environment, from anemones to zebras, while being cognizant of what organisms should be housed in a zoo or aquarium in the first place. We have come to value elephants, Earle said. There are programs on PBS about them and there seems to be outrage when they are slaughtered for ivory or condemned to the ignominy of a traveling circus. But do we value the other less charismatic animals and plants? Earle praised the bird watchers all over the world, rapturously recounting and recording rare observations. But, she asked, are there fish watchers? Do we value fish beyond a Disney character or their meat? If you feel like fish and chips, do you even know what fish you are eating? We don’t get fried chicken at Kentucky Fried Bird. So, why do we eat fish and chips? Why not dover sole and chips? Or cod and chips? How can we, as Julie Packard, the executive director of the Monterey Bay Aquarium, advocated, build a constituency for nature, including fish and seaweeds and everything in between or beyond? One of the first steps for zoos and aquaria is to carefully and critically examine what species should be held in captivity. The panel, made up of Earle, Gang, Corwon and other zoo, aquarium and conservation directors, agreed that this is one of the biggest challenges facing their institutions. Yet, it is integral to earning back the public’s trust, especially among so-called Millennials. During the panel, Corwon brought up the animal’s perspective of captivity. Sure, that might be incredibly anthropomorphic and our inner alarms may sound. But to reach the public as a whole it is necessary to think about what is appropriate to house in a zoo or an aquarium in order to motivate people to come through the gates and maybe have experience that awakens their inner conservationist or scientist. Jeff Bonner, the President and CEO of the Saint Louis Zoo, described how people incrementally fall in love with things, such as could be achieved by heading to a zoo or an aquarium. This elicits a long-term behavioral change. Indeed, museums continue to thrive even in an age of smartphones and Google. How can zoos and aquaria become similar meeting areas where, for example, architecture and nature can unite to open hearts and minds to conservation? Does the public even know about the research that is done at some zoos and aquaria (also, for that matter at botanical gardens)? For example, Kelly et al. (2014) demonstrated the utility and the challenges of eDNA for environmental monitoring by examining the constituent seawater in which known species of fish were housed at the Monterey Bay Aquarium. Readers of TME are basically the converted, but apart from the Monterey Bay Aquarium, I’m not sure many people would know of other zoos or aquaria that are actively engaged in conservation efforts. The South Carolina Aquarium, for example, has a sea turtle rehabilitation program in conjunction with the South Carolina Department of Natural Resources. As I’ve thought more about zoos and aquaria of today, I’m convinced there is a place for them. These institutions were very important to my maturation as a scientist. As a result of a seed planted long ago, I have had the extreme good fortune to see a great deal of the world. Zoos and aquaria are that slice of nature in an otherwise concrete jungle and could be that seed for other kids (or even big kids). It’s a lofty goal to be sure, but one for which I think we have the chance and absolutely should endeavor to strive. The participants of the Holland Lifelong Learning series certainly believe this is an attainable goal for zoos and aquaria. But, what about us as scientists? Engaging the public is as important part of our professional lives. TME has been a pretty amazing experience for me as a scientist and a writer, but what about further afield? What can we do? These ideas came full circle of late as I’ve been reading The Invention of Nature, Andrea Wulf’s marvelous tome on Alexander von Humboldt. He was an intrepid Prussian traveler and scientist who shaped how we view nature today, yet he has been obscured by the passage of time and events in the world in the early 20th century. On a five-year expedition in South America, Humboldt began to think of “the impression of the whole.” He was the first to view nature as living organism in which everything was connected. In his Personal Narrative of a Journey to the Equinoctal Regions of a New Continent, Humboldt wrote lyrically of his expeditions and took many arm-chair travelers along for the ride by blending scientific fact and poetry. Nature, he thought, was a living organism and best told with the mind of a storyteller. This became a guiding metaphor among the Romantics, such as Wordsworth, Thoreau and Goethe. Faust, one of Goethe’s most famous works, bears an uncanny resembles to Humboldt himself. Environmental history and science and, ultimately, how we view the natural world was influenced by Humboldt’s extensive writing. He seems to have invented nature itself. Without him, Charles Darwin might never have embarked on the Beagle. Darwin’s inner dialogue with Humboldt’s Personal Narrative shaped The Origin of Species and, therefore, shaped how we make sense of our nucleotides in ecological and evolutionary contexts today. What does Humboldt have to do with zoos and aquaria, you may ask? I’d say a lot. We have to find ways to engage the public and get them excited and passionate about conserving biodiversity, while also being critical of what we place in a zoo or an aquarium. As scientist, we’ve all got to get funded and get published, but what we do is as important as what trailblazers like Humboldt painstakingly recorded and scribbled away before translating into a language all could understand. For zoos and aquaria, the Monterey Bay Aquarium has certainly forged new ground and explored new frontiers. As Packard said during the panel discussion, they collect living things to tell a story of conservation with an ecosystem approach. More zoos and aquaria need to take a page out of their book and be a lot more like Humboldt’s view of the world. This would be a pretty good template for other institutions and even us in our day to day lives in the lab or field. This entry was posted in blogging, book review, career, community, conservation, evolution, natural history and tagged aquaria, conservation, Humboldt, marine biology, Monterey, Sylvia Earle, zoos. Bookmark the permalink.